Tracy Byrd's brand of new traditionalist country made him a star in the '90s, particularly his playful, good-time party singalongs (though he also turned in the occasional ballad success). Byrd was born in the small rural town of Vidor, Texas, in 1966 and grew up listening to his family's extensive country record collection. When Byrd was 20 years old, he visited a novelty recording studio in a shopping mall and sang over a karaoke-style backing track of "Your Cheatin' Heart." Impressed, the saleswoman invited him to perform in an amateur talent show, and when Byrd was well received, he decided to make country music his vocation. 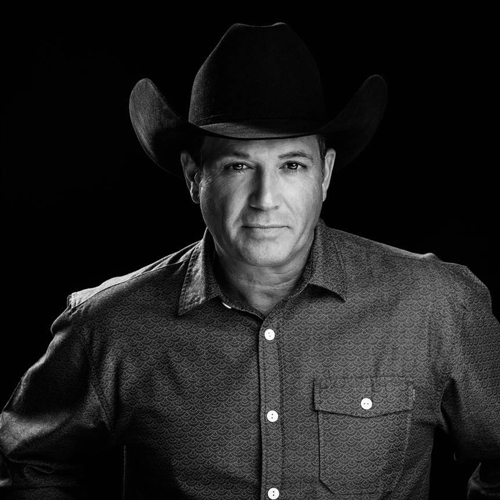 He dropped out of college and joined Mark Chesnutt's band, eventually replacing Chesnutt as the house headliner at a popular nightspot in Beaumont, Texas. He made one unsuccessful trip to Nashville in search of a record deal, but his second time around, he landed a private audition with MCA executives, who signed him right away. Byrd's self-titled debut album was released in 1993, and while it wasn't a blockbuster, it put the singer on the map in a big way with its third single, the number one smash "Holdin' Heaven." The follow-up album, 1994's No Ordinary Man, was Byrd's commercial breakthrough; it sold over two million copies thanks to four Top Five hits: the dance tunes "Watermelon Crawl," "Lifestyles of the Not So Rich and Famous," and "The First Step," and the change-of-pace ballad "The Keeper of the Stars," which became a wedding favorite among country fans. Byrd followed his big success quickly with 1995's Love Lessons, and while singles like "Walking to Jerusalem" and "4 to 1 in Atlanta" didn't duplicate the massive popularity of their predecessors, they still helped the album sell at a respectable gold level. 1996's Big Love returned Byrd to the Top Five of the singles charts with the title track and "(Don't Take Her) She's All I Got," and the title track of 1998's I'm from the Country reached similar territory. Byrd subsequently decided to leave MCA for RCA, and made his label debut with 1999's It's About Time, which featured a smoother, poppier production on tracks like the near-Top Ten "Put Your Hand in Mine" (the record's biggest single). However, Byrd returned to straight-ahead, good-time country for the follow-up, 2001's Ten Rounds; fans rewarded him by sending the single "Ten Rounds with Jose Cuervo" to the top of the charts, giving Byrd his second number one. The album also featured the Top Ten hit "Just Let Me Be in Love" and a duet with Chesnutt on the playfully anti-pop "A Good Way to Get on My Bad Side." A final album for RCA, Truth About Men, appeared in 2003. Byrd then released Different Things on Blind Mule Records in 2006. An acoustic mix of the album was issued by the label two years later in 2008.